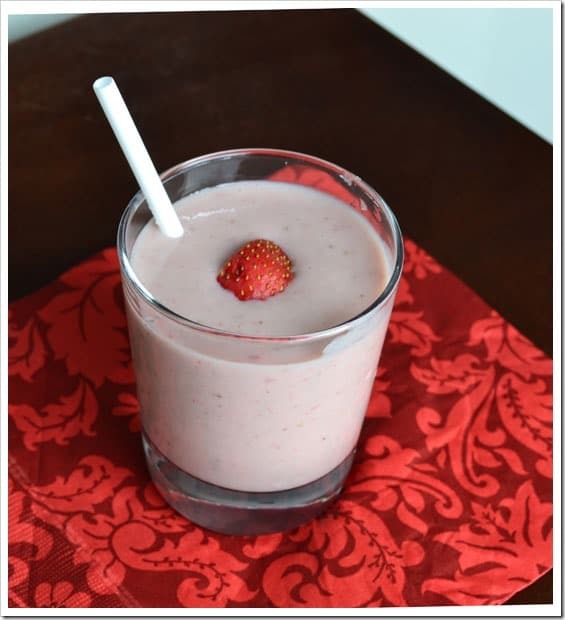 Strawberry Banana Milkshake… YUM! ..I am into milkshakes these days and you will soon see me conjuring milkshakes one after the other. I think when it comes to milkshakes, I don’t usually follow any hard or fast rule on the ratio of Banana versus Strawberries..it usually depends on the quantity I have ;-). But when I am posting a recipe, I note down what I have used and the quantity. 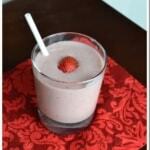 So presenting simple and quick way of making Strawberry Banana Milkshake at home. Pour into 2 glasses and serve immediately.